This is such a great spot downtown in a cool big old building covered with grafitti and mural art. 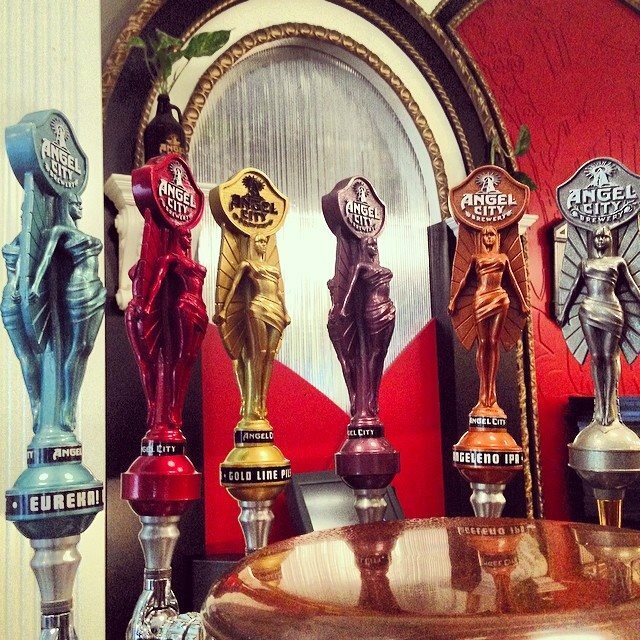 Obviously they brew beer, and very tasty beer at that. They even have Avocado beer! They have a big open space with a variety of sitting areas and a bunch of cool games to play from Monopoly to an indoor bean bag toss! Definitely worth a visit as a destination or if you are passing by. Really cool spot to bring your dogs and enjoy some unique brews. I would first consider getting the beer flight to see what suits your fancy. They have tons of boardgames and often have food trucks in their parking lot in case you get a case of the munchies. I also saw a lot of people bringing in their own food, and in some cases table clothes and table settings. You could throw your own mini party here is you wanted to. 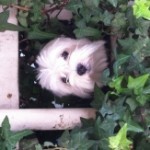 Best of all, they seem very dog friendly! 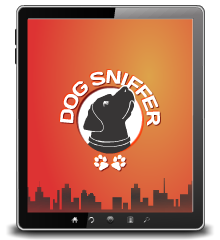 Great dog-friendly date place! Very sociable, great selection of unique brews and great atmosphere. They don't serve food, but there is a food truck out front. 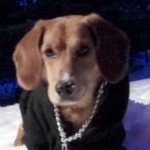 Anywhere you can bring your dog and grab a beer is good for me! 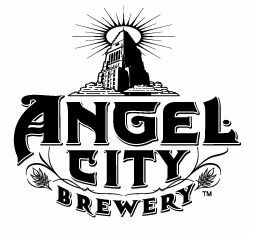 In the Arts District of Downtown LA, Angel City Brewery provides an inexpensive, dog-friendly drinking venue. 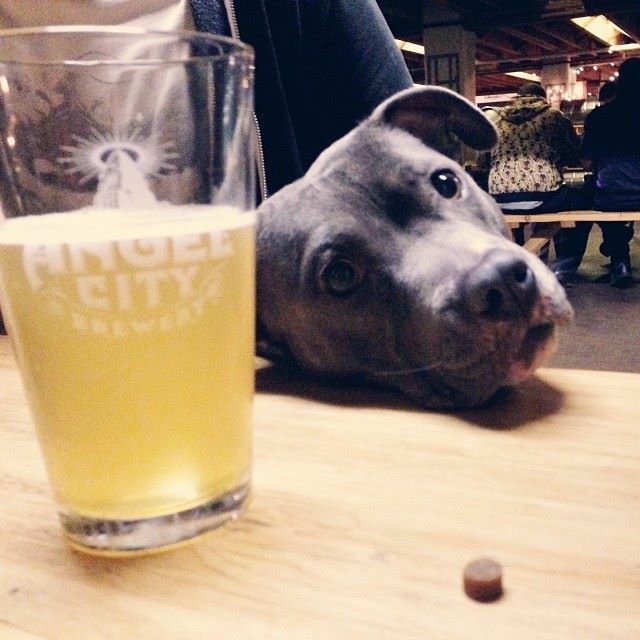 Unlike many downtown LA places, Angel City Brewery allows dogs inside the venue. 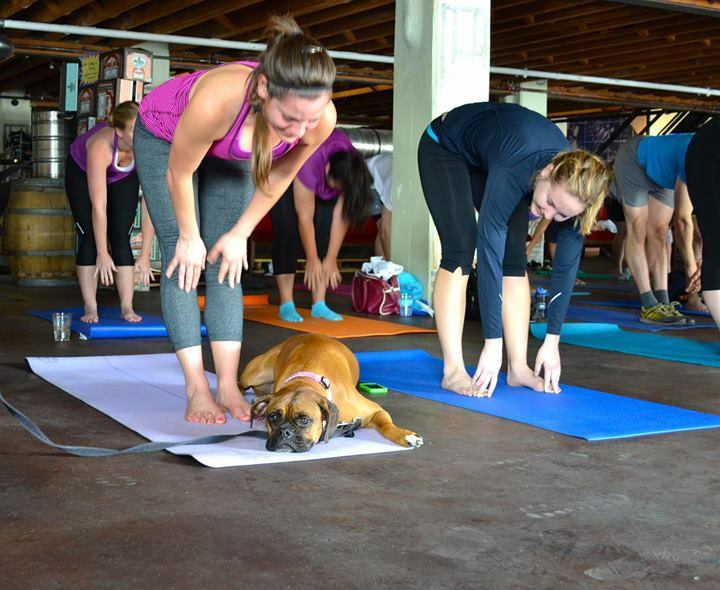 The brewery also provides dog-friendly Sunday yoga, and Angel City is in walking distance of various food trucks.